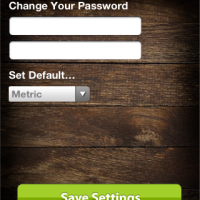 Angler Social is a social networking application for everyone that enjoys fishing. Whether you fish competitively or just for leisure, Anger Social is a social hub for all your and the worlds catches! Angler Social is social networking for people who enjoy fishing, either as sport or simply as leisure. The application works together with the social networking web portal Anglersocial.com. The website is where your profile and photo submissions are stored for the world to see, which can also be accessed via the application on the iPhone. 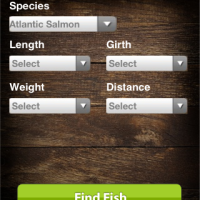 After you set up your profile in the app (takes about 1 minute), you can begin to upload photos of your fishing catches using the applications built-in camera function. This is a great feature to include in this type of app because without a built-in camera function, you would have to exit the application to take a photo, thus causing unnecessary steps. 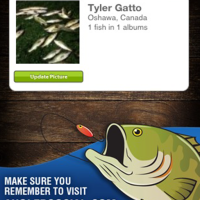 Any photos you take of your catches can be uploaded to your profile for easy viewing both from the website and the iPhone app. The photos do come with privacy settings as well, so you can hide them if you were so inclined. Also, the app integrates itself with the iPhone GPS with Google Maps built-in. This allows you to see the location of other users fish catches, as well as have other users view your own catches. 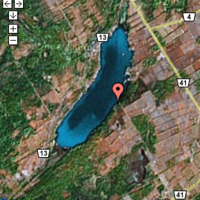 Of course, if you hit a fishing goldmine, you can also hide your location and keep it a secret. I really like that the app has GPS integration as this function is extremely useful especially if you are going on a fishing trip. For example, the user submissions can help you to decide which bodies of water are prime for fishing and what type of fish are being caught. Another useful function of Angler Social is the ‘Fish Finder’. The Fish Finder is like a search engine that helps you to find fish. You can specify the specie, length, girth, weight and distance (from you) for the type of fish that you are looking for. There is only one caveat about the app. The database of users is small at this time which will make the application less useful than when the user base grows. As the user base grows however, the app will become very beneficial and full of information. After all, this type of issue is quite unavoidable when it comes to new apps, so time will tell. 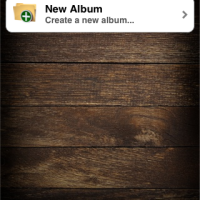 Overall, the application has a clean interface and useful functions. From the built-in camera, to photo uploading with GPS, to the website integration, Angler Social has simple navigation and good features. As time goes on and the app becomes more popular, the database will grow thus making the app extremely valuable and alive with community. Angler Social is scored a 4 out of 5. Angler Social is available in the iTunes App Store for $1.99, which is a price drop from the original $2.99. So this is likely for a limited time. Would you like Angler Social for FREE? Today I am going to give away three promo codes for Angler Social! All you have to do is make a meaningful comment about the app below. As an additional iPhoneInCanada.ca BONUS for the three winners of the promo codes, you can get TWO MORE promo codes to give to your family and/or friends! All you have to do is post a review of Angler Social on the iTunes App Store (link) and then send your review to this email address: Promo [at] dalkal.com and you will receive TWO additional promo codes! This is WIN WIN WIN!! !